The Bunker Hill link took me to map destination Kazakhstan hahahh. But the strange findings are fun and adventurous! Thank you for sharing and hope you learn what it's about so you can share. Continue to enjoy your hike and thanks for all your advice and updates! 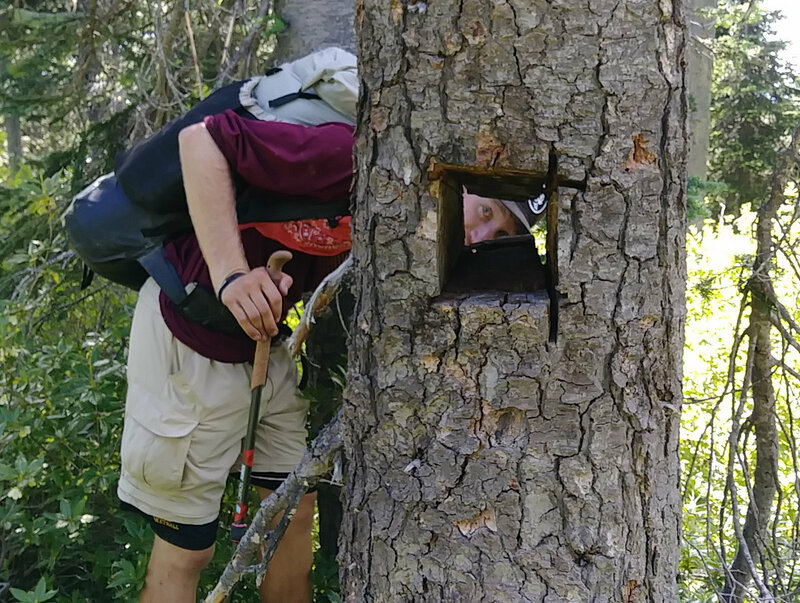 Curious about the general location of the shoe tree? Also, I believe there used to be a firelookout on Bunker Hill. The rocks were probably markers of sorts. Perhaps a landing site or drop site. @Jason - the tree is on Tillicum Creek. It is the first campsite west of Idaho on the my PNT Map. Yes, there are old structure remnants on Bunker Hill. Very beautiful place! 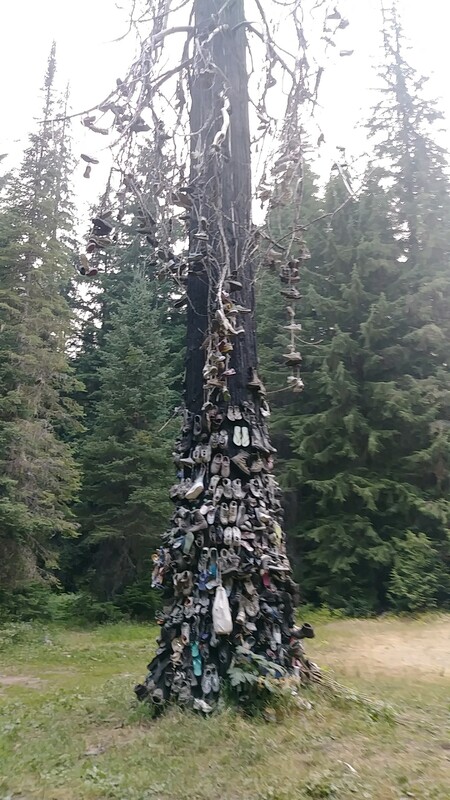 I remembered an old article from a local paper about the shoe tree. The tradition with the tree started in 1944. Here it is if you're interested!